Let Sport Court St. Louis install your dream backyard court that your family will love and enjoy for years to come. 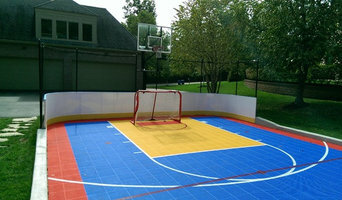 As the authorized Sport Court® dealer for the St. Louis Metro Area and Southern Illinois, we install top performance backyard basketball courts, roller hockey rinks, multi-sport game courts, tennis courts, putting greens and more. 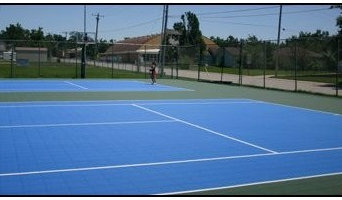 Our backyard courts come in so many different color options and they fit almost anywhere! Our outdoor game courts are beautiful additions to your home and actually help to build family fun and recreation. Sport Court St. Louis game courts are not just for the outdoors, as several of our clients have put basketball courts and multi-sport game courts in their basements, under and over their garage, and also outfitted home gym areas. Contact us today for a friendly consultation or on-site estimate. As a Missouri backyard basketball court company, we specialize in Missouri basketball courts, Missouri tennis courts, gym floors, St Louis gym flooring, badminton courts, basketball hoops, roller hockey rinks & court construction. Show Me Snow Geese provides highly productive guided snow goose hunts. And also create the most favorable conditions to make sure that you have a productive goose hunt. First and foremost, your Missouri backyard court builder should have in-depth knowledge of sport rules, regulations and standards: court dimensions, net heights, lane widths and much more. If you’ll be teaching your friends, kids or others how to play, or if you plan to play on a competitive level, following national guidelines is important. Backyard court builders also keep tabs on the latest in athletics technology to provide you with the most updated options possible for your Town And Country, MO court. With your input, they’ll design a space that’s customized for your wish list and your home, then handle the construction. When the inevitable wear and tear starts to show, your Missouri backyard court builder can repair, resurface or replace the aging elements. To ensure consistent quality and style, your backyard court contractor might also work closely with a Town And Country, MO general contractor, remodeling contractor or landscape professional. Here are some related professionals and vendors to complement the work of backyard courts: Outdoor Play Systems, Landscape Contractors, General Contractors. Narrow your search in the Professionals section of the website to Town And Country, MO backyard courts. You can also look through photos to find examples of Town And Country, MO courts that you like, then contact the contractor who worked on them.